Apparently Microsoft's researchers get to have all the fun. Who needs a Microsoft Kinect when your phone’s camera can do the job? Microsoft Research said Monday it's working on a technology called MobileFusion for the Android, iOS, and Windows Phone platforms that will allow users to pan a smartphone camera slowly around a 3D object, creating a 3D model that they can later print. “The great starting point was to take a sensor that everyone has in their pocket, which is the camera you have on your mobile phone,” said Shahram Izadi, a principal researcher on the project. Why this matters: MobileFusion is designed for a single purpose: 3D printing. The idea, according to the researchers, is for people to bring a smartphone into a museum, on a hike, or somewhere else and scan a 3D memento into their phone for later printing. The only catch right now is that the MobileFusion research is... well, research: Microsoft says it doesn’t have any plans to develop the technology into a full-fledged app. Microsoft began promoting the use of 3D depth cameras with its PCs through its Windows Hello login process, which uses an embedded RealSense 3D camera from Intel to recognize a user's face. The Hello technology is based upon the Microsoft Kinect camera, whch was originally designed for the Microsoft Xbox 360 and Xbox One game consoles. Kinect recognizes users by comparing them to a 3D object that the camera has created and stored. AutoDesk’s 123DCapture app allows you to create your own 3D scans. 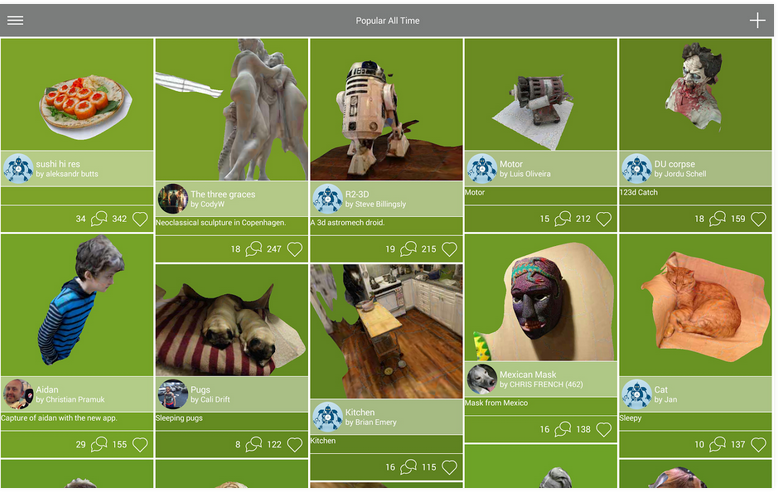 Several apps have also promised that they can stick two or more 2D pictures of an object into a 3D model. Two that are worth noting include the free 123DCatch app from Autodesk, for both iOS and Android; and Shapematic, a $0.99 iOS app that also turns a few 3D snaps into a 3D object. (Trimensional, an iOS app, also will capture a 3D object, but it seems designed mainly for fun, not printing.) 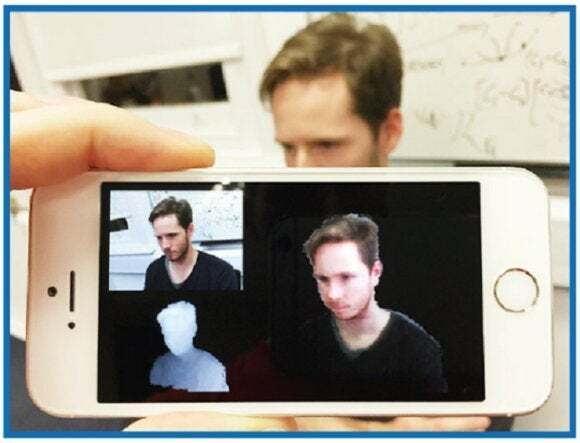 As far as we can tell, no developer has created a 3D scanner app for Windows Phone. Note that what Microsoft is talking about involves slowly panning a camera around an object, essentially creating a video that the MobileFusion technology can transform into an image. The closest thing we have to that today is the 3D Capture tool you can use with HP's imaging-focused Sprout PC, which takes a bunch of photos from different angles and stitches them together. Unless someone creates a quality app that can do this, we’ll still be waiting.